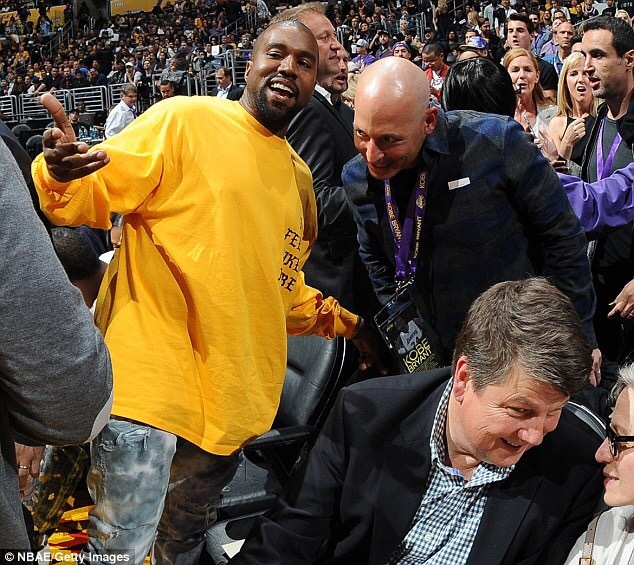 As seen on Mamba Day aka Kobe Bryant’s last NBA game, Kanye West sported a yellow long-sleeve shirt with a “I Feel Like Kobe” purple label on the front. Fans pondered if Kanye would make the shirt available, well ponder no more, as the shirt is now available to purchase on Kanye’s website. The shirt is an alternative to the previously released “I Feel Like Pablo” merchandise sold at his YEEZY Season 3/Album release and New York exclusive pop-up shop. The “I Feel Like Kobe” long-sleeve is available for $65. You can grab yours here. Better act fast as these are selling out fast.